You have missed the best hill station of Kumaon if you haven’t visited Mukteshwar, one of the most beautiful and scenic spots in this part of the country. Popularly known as the fruit basket of Kumaon, Muktehwar is located at a height of 8000 Ft, surrounded by forests and walking trails which take you through Kumaoni Villages, passing hill streams and waterfalls en-route. 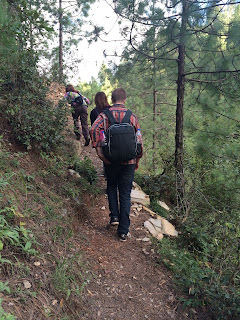 You can enjoy amazing forest and nature walk with guides. Guided packed lunch picnics can also be arranged to waterfalls and streams which is a memorable experience one can take back from a holiday. 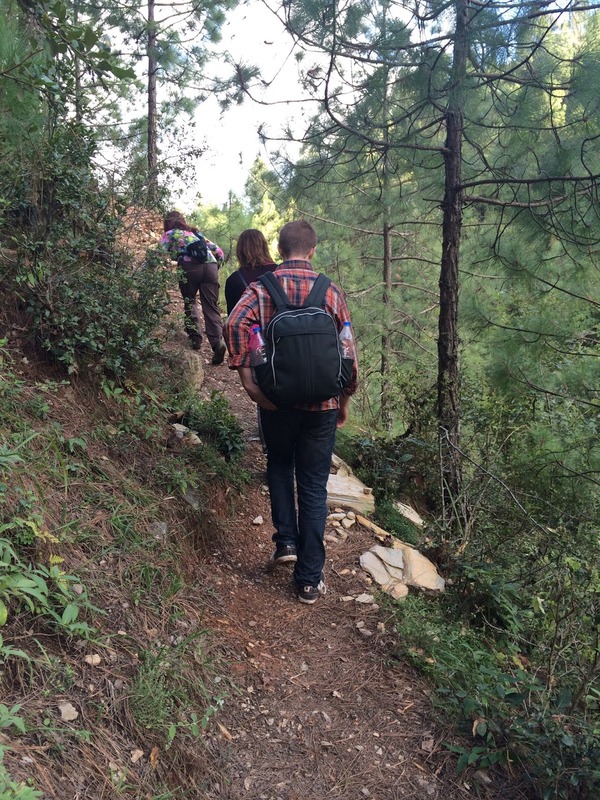 You feel one with nature and really enjoy the flora and fauna and the pure Himalayan air. The best part is that all these spots are not really touristy places. Mukteshwar also has one of the best nature resorts, Resorts in Mukteshwar are quite unlike the Nainital Hotels as they are a nice off-beat feel to themselves and some of the hotels in Mukteshwar are spread out in fruit orchards. Some of these holiday resorts organize properly arranged jungle walks and picnics with guides and packed lunch. These beautiful Himalayan Lodges also arrange Adventure Activities like rock climbing, rappelling, zip line etc. at these picnic spots. 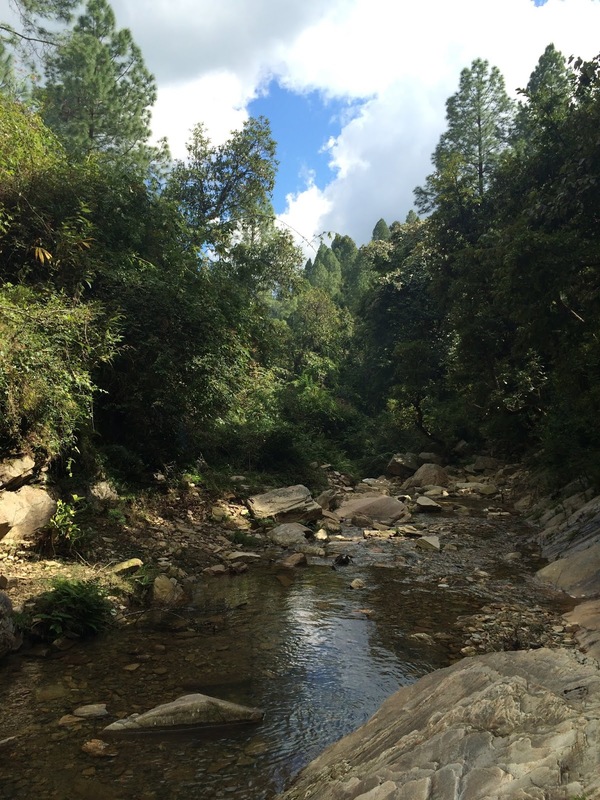 Bird watchers and wild lifer enthusiasts would love the forests of Mukteshwar on foot. They are off the beaten tracks which brings you as close to nature as possible. Guides are locally available and cost anywhere between Rs.500/- to Rs.1000/- per day. Treat them more like friends and they would happily do anything for you. You can also request your hotel at Mukteshwar to arrange these amazing activities for you. Mukteshwar is 45 ms East of Nainital and 64 Kms from Kathgodam. Popularly known as the fruit basket of Kumaon, Mukteshwar is a pristine hill station near Nainital. It is covered with lush green fruit orchards on its terraces both sides of a five-kilometer long ridge ranging from a height of 7000 to 8000 Ft. Because of its scenic beauty, several hotels and resorts have come up at Mukteshwar. During its fruiting season, the eco-friendly resorts at Mukteshwar encourage guests to enjoy fresh fruits from the orchards. Some of these hotels in Mukteshwar are made within fruit orchards itself which give guests a pleasurable experience. The fruiting season is mainly June when visitors can enjoy different species of Apples, Plums, Apricots, Peaches, Pear and more. Mid June onwards would be the best time to enjoy fresh fruits, straight off the trees. I have always been in love with the Himalayas and have traveled extensively in the Himalayan Region. If you like to experience true flavors of being in the Himalayas, always prefer staying above a height of 6000 ft. as that is when you get places which provide you the panoramic views that one dreams of while booking a hill resort. I try and identify less crowded places, which have comfortable accommodation and good home cooked meals but great locations. Vantage Points always add the extra charm to any holiday. One such place is a Himalayan resort in Mukteshwar called Mountain Trail.